I thought it would be fun to share my rosé favs. Because I can drink this like water, some of these bottles are typically reserved for special occasions, but aren’t priced outrageously. 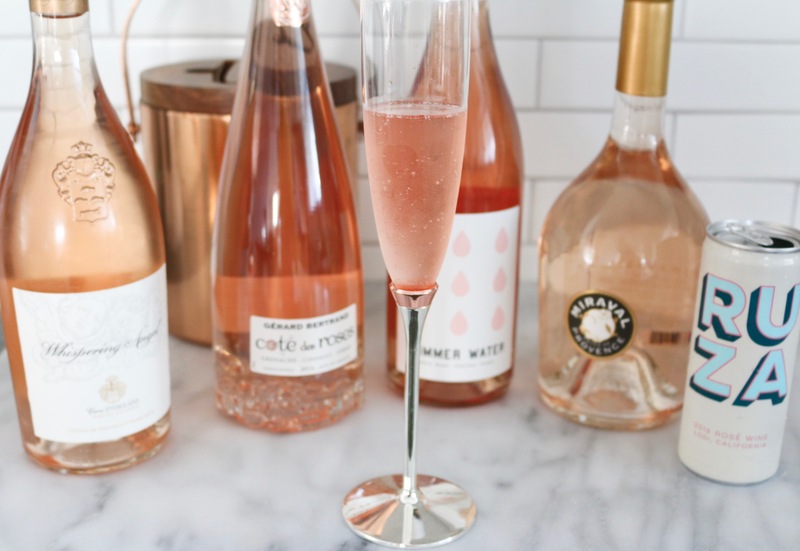 I like my rosés dry and blush in color – not a fan of red zins or anything sweet. Whispering Angel – probably the most known of the bunch and for good reason! This was one of the first I tried. It’s perfectly dry and you can find it at most grocery stores. Cote des Roses – my in-laws bought this pretty bottle for me when I had Crosby. I totally judge a book by the cover when it comes to rosé and this one checks all the boxes. Perfect shade of blush, metallic rose gold rose stamp and gorgeous bottle. What more can you ask for?! 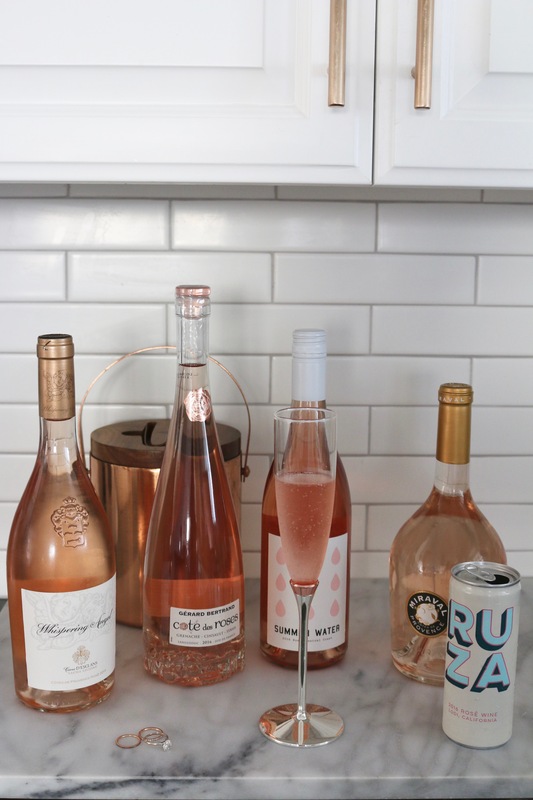 Summer Water c/o winc – I’m not sure which came first, the rosé nickname “summer water” or this rosé. Winc recently sent me a few bottles and I was impressed. 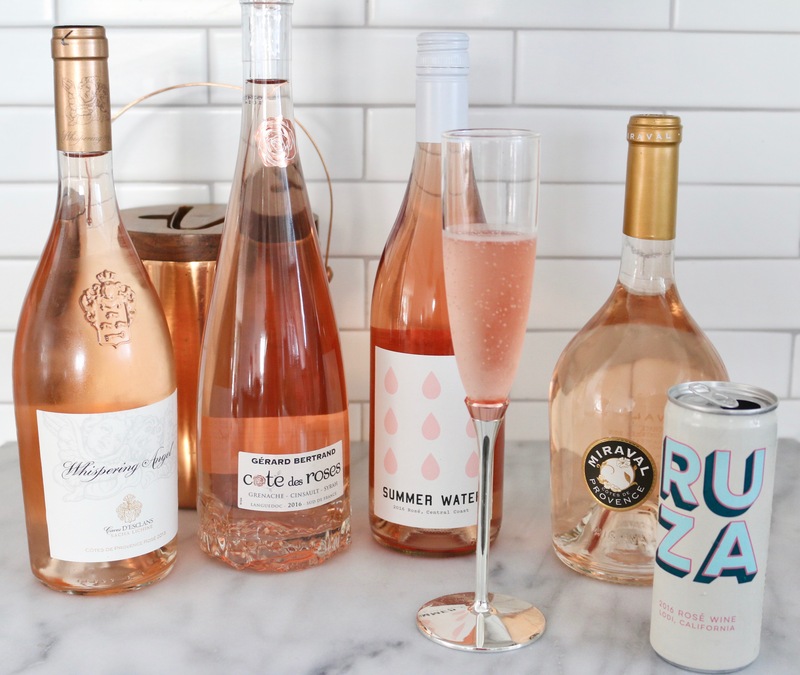 It’s a bit harder to track down than your average grocery store rosé, so if you’re curious, order it from winc. Miraval – ok, this is the rosé that started my addiction. It’s everything. Not to mention it comes from a vineyard Brad and Angelina own (owned?). After they divorced I was worried they’d stop making it but it’s still going strong. It’s about $22 and it’s bottled perfection. Ruza c/o winc – wine in a can, need I say more? This one is slightly sparkling and perfect for summer activities on-the-go. Again, if you’re interested don’t waste your time trying to find it in grocery stores – head straight to winc. Today is the first day of public access to the Nordstrom sale so I wanted to share my favorite home decor items included. See my picks below! Hope you have a great weekend – thanks for reading!